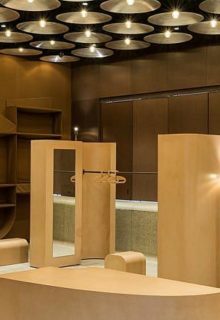 We worked closely with the design team to ensure that the bespoke fit out of the iconic US clothing and accessories brand in Kings Cross achieved the required Very Good BREEAM rating. We encouraged an initial site visit prior to developing the BREEAM strategy to highlight BREEAM recommendations and a sustainability workshop to ensure the specific requirements were understood and implemented. These recommendations included undertaking a functional adaptation study to accommodate future changes of use of the building over its lifespan and the reduction of greenhouse gas emissions in any refrigerants installed. Our energy specialists also provided detailed advice to the team to ensure we achieved a highly rated energy performance certificate (EPC), to maximise performance all systems were metered separately and efficient ventilation systems were specified. Our environmental specialists produced a site-specific indoor air quality plan to provide building design and maintenance advice for optimal internal air quality to improve and uphold occupant health and wellbeing.